If you’ve never seen a Checker automobile, you’ve missed an American icon. Checker Motors Corporation in Kalamazoo, manufactured taxicabs used by Checker Taxi (the same company really. They stopped producing automobiles in 1982. 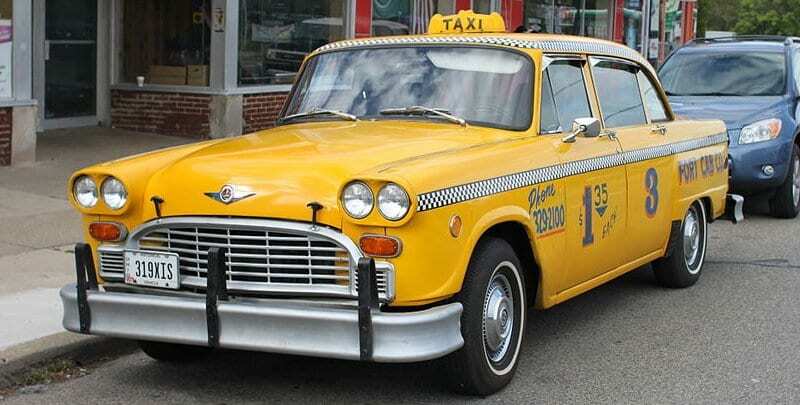 During many years of production Checker would sell cars for personal use on special order, but the taxi cab was their main product. Although I never rode in a Checker, I did look at a used one from Al’s Used Cars on South Tacoma Way. Checkers were sturdy, boxy, roomy, and pretty much looked the same for decades. They made a great taxi because of the over-size trunk and large interior space for riders and luggage. If you’ve never seen a Checker automobile, you’ve missed an American icon. About ten years ago my wife Peggy and I spent a weekend in La Conner. It’s a comfortable town, with nice places to eat and shop. We visited an antique store and bought two things we didn’t know we needed. One was a type setting drawer, which we hung on the wall with filled up with artifacts from the American Revolution and the War Between the States. We also bought a Taxi rooftop sign from Liverpool. I always had grand plans to make a nice coffee table center piece out of the sign, complete with light switch and inside lamp to show off the amber glass and the word TAXI. It never happened. 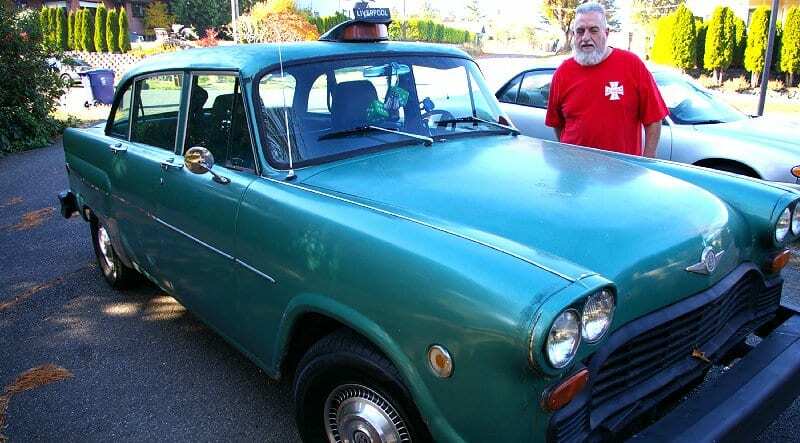 Pairing down to make life easier, I recently placed the Liverpool taxi souvenir on Craigslist. The next morning I got a call. Bill Crawford loves Checkers automobiles and has bought and sold many over the years. Bill’s girlfriend is from Liverpool, where she is currently visiting. I can just imagine her surprise when she comes home and Bill picks her up at SEA-TAC in his Liverpool Taxi. t took a little longer to drive up to the bank and back than I had planned, but we picked up a couple fares and made $20 each. Very cool! Those are great cars. I remember being sad when I read about the last one coming off the assembly line. Not sleek and fast, but built for hauling . . . and to last.